Best productivity app - download free today! Manage, plan, schedule, control, track, and organize everything! 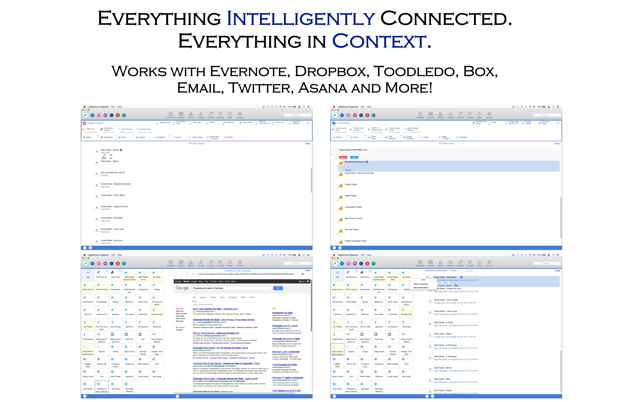 Tasks, Lists, Inboxes, Contacts, Calendar, Agenda, Projects, Notes, Documents and more - connected in one place. 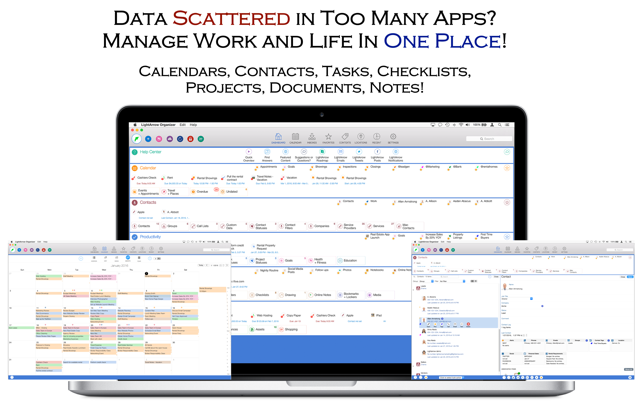 Based on our highly-rated LifeTopix (4.5 stars over 5 years, 150,000+ happy users) LightArrow Organizer is an extraordinary all-in-one productivity app for business and personal use. + Stop wasting time looking for information scattered everywhere. + Make sure nothing falls through the cracks. + Focus and act on what matters. We primarily focus on serious users with powerful needs. 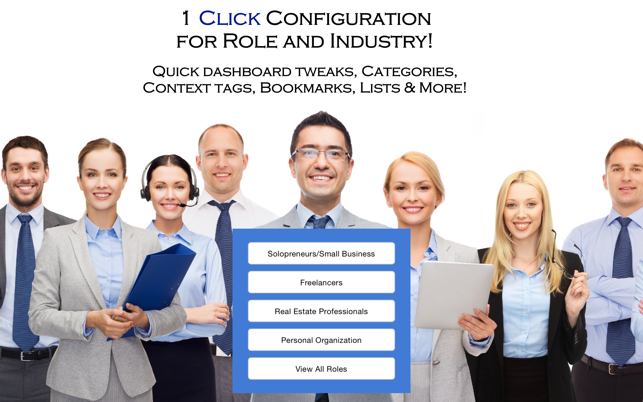 With a single tap, add common items used by various roles and industries. INTELLIGENTLY CONNECTED, EVERYTHING IN CONTEXT. We bring your online notes, files, and other items into the app. Get instant visibility into what’s important in your busy work and life through the customizable dashboard. + Easy access to favorite items and views, and recently modified items. Instant access to tutorials, guides, helpful videos, and ability to engage with us. 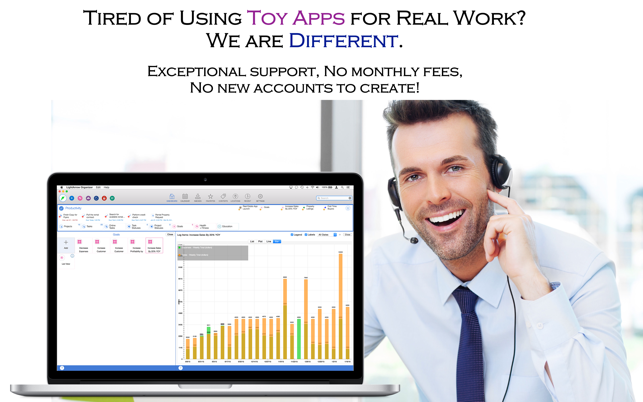 Powerful views that unify appointments, tasks, trips, bills and everything else with dates. I agree with another poster. This app could be great! However, after playing with it for a day, I realized it’s not at all intuitive. I couldn’t get my IMAP email to connect no matter how many configs I tried. It’d be a fun app if I could figure out how to configure the Twitter and Facebook accounts but, as I mentioned, setup is not intuitive at all. The help instructions on the website are overwhelming for someone who doesn’t have a ton of experiene with databases. I tend to learn visually, so having a clear cut “how to” video that helps with various setups, step by step, would be super helpful. I couldn’t find a way to change my privacy prefs as far as connecting to my calendar, etc as I mistakenly skipped that section during setup. I even unistalled the app and reinstalled it and it didn’t give me the option to change that at the startup. In fact, it didn’t give me the option due to the previous setup. I also emailed support twice and have yet to receive a response. I look forward to following their progress to see if they make improvements to the interface, support and response because I’d like to use this app. Best Productivity App on the Web. I have given them 5 stars before; and they continue to deserve it. The support is the best on the web for any product I have used. This is designed for people like me - a practicing lawyer with a constantly adjusting schedule, adjusting priorities, and adjusting workload - trying to find some balance between work and personal life. There is a long learning curve and it takes some time and patience to master it. But, I continue to learn new features and new ways of doing things on it. This has has to be a gem like discovery for those who use GTD or one of its variants. iCloud is the obvious choice for sync, and LightArrow says it will work, but it doesn't work on the Mac. Only Dropbox, Google Drive, Box, and MS OneDrive are supported, despite the instructions in the documentation. I like the concept and the app. It takes some gettign used to and a lot of customization to make it feel good to me. 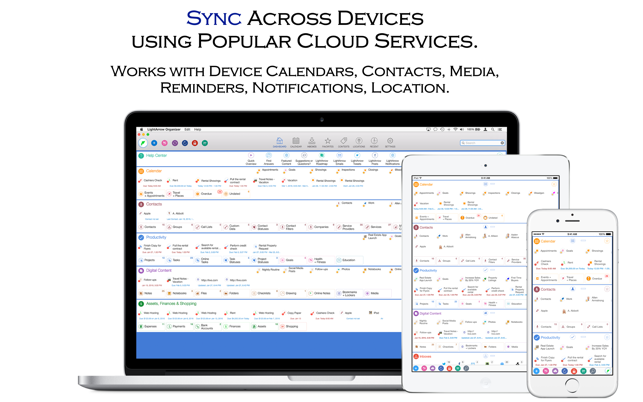 But, I'm not wasting my time, if I have to use one of those sync services. © Copyright 2010-2017 LightArrow Inc. Austin, Texas. All rights reserved.